Hunting is allowed at the Skaneateles Conservation Area on Old Seneca Turnpike and Gully Road. The New York State DEC designated hunting seasons for the Southern Zone, and all other DEC regulations, are in effect. At the Mabel Reynolds Preserve, only bowhunting is allowed. Note that this is intended as a quick guide only. Please see the DEC webpage http://www.dec.ny.gov/outdoor/28605.html for the official hunting season notice. Old tree stand on the Federal Farm property in 2012. Permanent stands are not allowed. Hunters, please be aware that there may be other users of the property. Hunting within 500 feet of the pavilion is prohibited. Please remember that motor vehicles are prohibited inside the locked gates of the conservation area properties, even for retrieval of your kill. 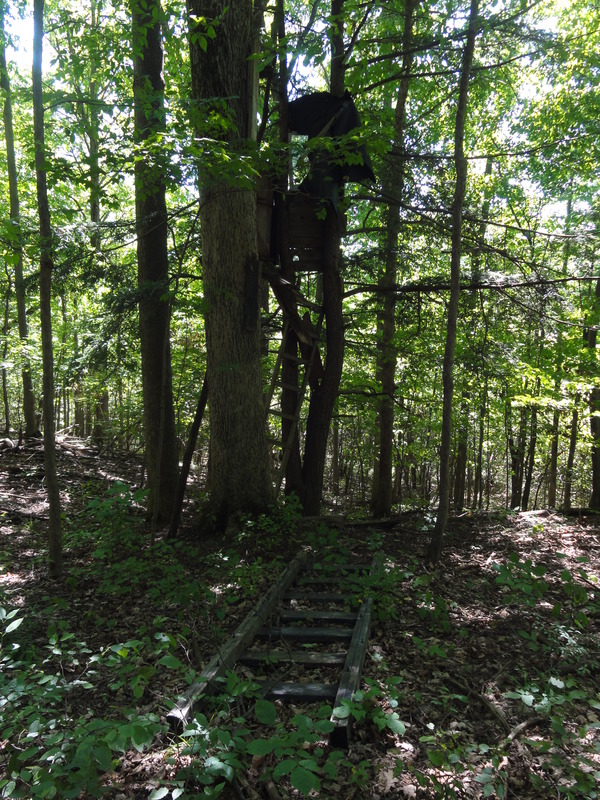 Also note that permanent tree stands are not allowed on Skaneateles Conservation Areas. 1. As used in this section “wildlife” means wild game and all other animal life existing in a wild state, including fish, shellfish and crustacea, and “process of taking”, in addition to any act described in subdivision thirteen of section 11-0103 of this article, includes travel, camping, and other acts preparatory to taking, which occur on lands or waters upon which the affected person has the right or privilege to take such wildlife.